Microsoft is continuing to extend its means and ways in the space of hardware. Less than a year after it has acquired Nokia’s services & devices division and two years after launching the Surface Pro, the company has taken another step in the market by announcing Microsoft HoloLens. This is nothing but a device that projects or displays a windows interface directly in front of your eyes other than being a headset. Let’s have a deep discussion about this standalone device through this post. 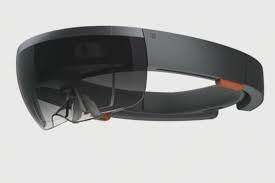 Microsoft HoloLens is also called Holograms, an augmented reality device which will be in the form of goggles worn on the head. It can track your movements & watch your eyes and through advanced computation, it will project images in front of your eyes. It is the first sophisticated holographic computing device empowered by Windows 10. HoloLens contains a transparent lens and a lot of sensors with no wires or phones or tethers. This light weight gadget can be used to improve your performance at anywhere and walk around the places you’ve never been done it before. It will not produce any 3D images, but you can use the midair as the mouse and create what you imagine. It’s amazing, isn’t it? Now, have a look at the striking features of HoloLens! Microsoft HoloLens is much more than just a device, crafted to compliment the devices running on android systems. 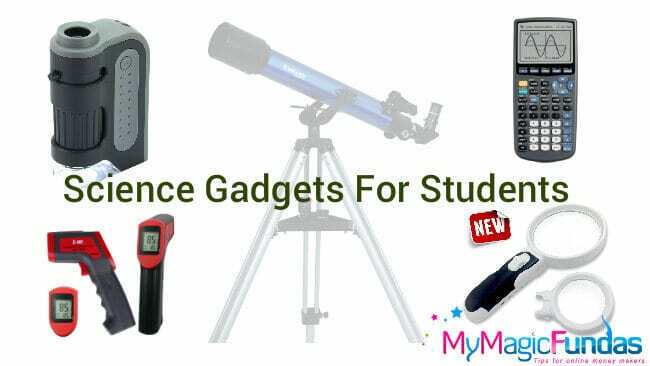 Through this thrilling gadget, you can look for recipes, check the weather as well as stream live videos. Not just that, but you can as well use Skype with this device as per the features mentioned on the website. The Windows 10 operating system is what is powering this device and the user can play Mine craft using the same. This is said to bring a user interface revolution and Microsoft is certain to do the same since this was the company that brought into wireless motion control when it comes to games and brought in a lot many other technologies. Apart from these, there are some stimulating features of HoloLens you should be aware of! 1. As it uses advanced computing stage, it has the ability to bring high-definition Holograms and thus you will be integrated with your physical objects and places. 2. You can express your creative skills in an effective way and hence you could achieve some exceptional stuff in your profession or academics. 3. It can understand your vision, voice & movements and convert them into the digital content to display as physical things/places. 4. The presence of a range of processing units in HoloLens would let it process real-time data in Terabytes. 5. While wearing the device even if the interface is right in front of your eyes, moving about space and answering phone calls will not require you to take the device off your head. The newest addition in the family of Microsoft, HoloLens may even look like a competitor of Google glass, however, this is not the surface truth. This device merely looks like its competitor Google’s wearable, but when it comes to features; both these devices are poles apart. The only similarity between the Google Glass and the HoloLens is their virtual reality feature. The HoloLens does wrap around the user’s head and has a frame that keeps this device upright. The glass frame in front of the user is simply used to project things and the user does not need to wear any other sensor beyond this device. In simple words, it is a full-blown computer on the head whereas Google Glass is just a mobile device on the head. When both are compared in terms of design, HoloLens would be bulkier than Google Glass as Microsoft has designed this innovative tech gadget in such a way to use in a fixed place to do intensive tasks. Likewise, if we compare the functions of both devices, there would be few similarities. Google Glass is meant for simple tasks, but immersive computing tasks will be performed by HoloLens. Whatever be the similarities and differences between these two devices, I’d say that this kind of amazing gadgets are shaping the way we use technology. Even though the price is not disclosed, it is said to be a bit skeptical. The HoloLens is a VR headset and a computer all in one which is enough to speculate its price range. As an early adopter, it is said to be priced a bit high which can be a problem. The other issue may lie regarding the apps. The promotional videos show users interacting with little widgets and watching stuff on Netflix, however, what the device can and cannot do remains quite uncertain. An essential thing that a majority of people are uncertain about is the battery life of Microsoft HoloLens. There is little known about its battery life and undoubtedly, this is one of the most important aspects of this device. As it doesn’t need cables, cords, phones etc. it may require a good battery support for the users to use this device uninterrupted. It is possible that the device will not be able to last long or is also possible that Microsoft HoloLens may come with a great battery life. Microsoft’s HoloLens is the next great innovation product. We can also call it as a self-contained computer with CPU, GPU, HPU (Holographic Processing Unit), motion and environmental sensors. This goggle type tech gadget is still in its development process and there is no official announcement till now. It expected to be available in the market after the arrival of Windows 10. Since Microsoft invested in augmented reality, be ready to create high-quality holograms that can be integrated into the physical world. The advent of HoloLens will provide the company with a great opportunity to feature as a hardware company as well. In the coming years, this device will surely prove to be a great companion of the generation next Xbox. Will HoloLens from Microsoft be successful? Let’s wait for its release date and pricing details. I’d like to hear your opinion of HoloLens, use the comment section and discuss with me about this remarkable gadget. 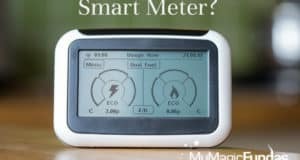 Should I Get A Smart Meter For My Business? it is Superb When it will Be launched. Thanks for checking this post Bilal Khan. It is the most advanced tech gadget empowered by Windows 10. So, HoloLens will be arrived after the release of the fresh windows version. Hope it will be released at the end of this year 2015. Vow, very latest info you delivered in this post. In Public Relation it is called pre-soft launch that means before formal announcement of a product if someone declares it is in making. I hope it will set new trends of users convenience. Thanks a lot for sharing Nirmala. Really, Hololens is an innovative product by Microsoft. I loved the way the product manages the things and yes compared Google Glass, I would like to give few more stars to Hololens.